Algonquin Park is a premier canoeing destination. Most visitors head into the Park's vast backcountry for overnight canoe camping. However, an increasing number of individuals will camp in a developed campground or in accomodation outside the Park and participate in shorter day trips. 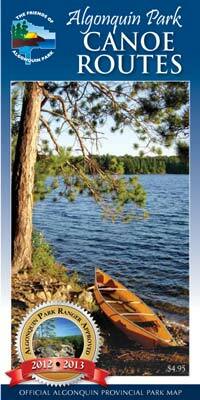 The best resource for planning your canoeing day trip is the Canoe Routes Map-Brochure of Algonquin Provincial Park. This map shows starting locations, routes, portages (and their distance), plus natural and cultural history site of importance.